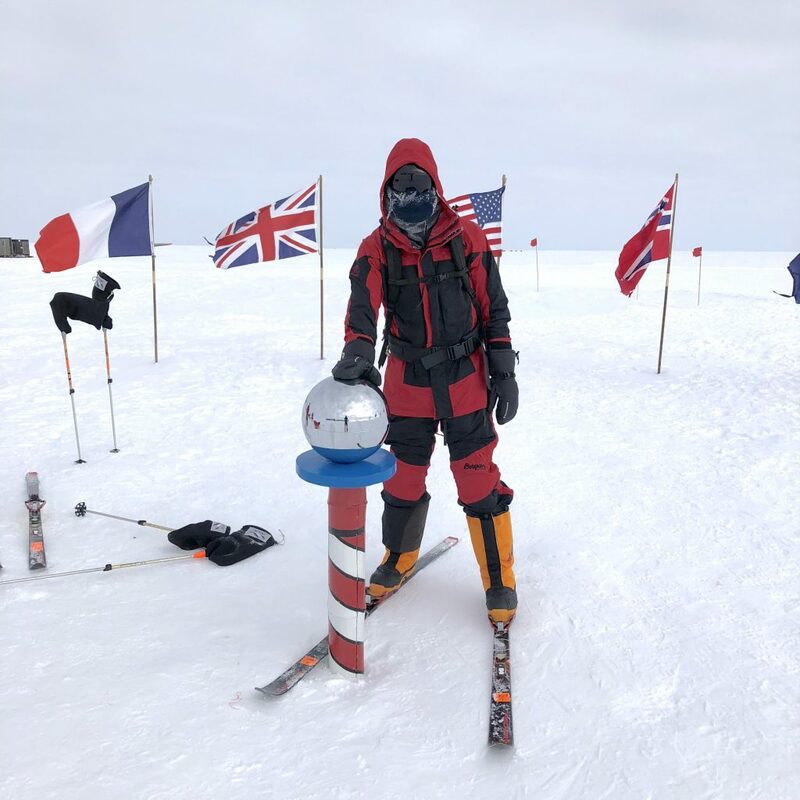 On Monday 18th December 2017, NorthEdge’s George Potts embarked on the ultimate journey to the southernmost point on Earth for the “last degree” challenge in aid of Rainbows4Children. Starting from Punta Arenas on the southern tip of Chile before travelling to 89 degrees via three flights, George then trekked 111km across the most remote terrain in Antarctica, braving temperatures as low as -40 degrees centigrade, to reach the geographic south pole on the 28th December. The challenge involved 8-12 hours a day of activity, carrying and hauling 50kg of supplies and camping equipment for seven days at altitudes exceeding 10,000 feet. The challenge raised a total of £18,000 for Rainbows4Children, an independent foundation that provides education for disadvantaged children in Ethiopia. Since it was founded in 2005, Rainbows4Children has helped build three schools that are today delivering education to over 1,380 enrolled children, predominantly from extremely challenged backgrounds (with parents often the victim of war or land mines). This year, the school graduated nearly 100 young adults into University education. This will support the foundation’s ongoing efforts to create a financially sustainable education system through a complete refresh of aged laptops and PCs, as well as enabling the first “coding” classes to be held. George Potts said: “There are wonderful people at Rainbows4Children making a real difference to the lives of severely disadvantaged children. I would like to thank Max and Kathryn Robinson for giving me the chance to support their incredible foundation, set up in memory of their son, Nicolas Robinson. “I would also like to thank everyone who contributed and specifically NorthEdge, which donated £2,000 on top of several significant personal contributions from friends in the local market, my colleagues and family”.